Life Insurance? Why is it important to have! Every type of insurance listed above is purchased with the hopes that you’ll never have to put in a claim. No one wants their house to burn down. Who wants to be involved in a car accident? I don’t want my boat to sink. I’d rather not be disabled. Wouldn’t want Fluffy the cat to get sick. So, we purchase various types of insurance hoping we’ll never have to use them, and happy to have them should we need them. But, so many people don’t buy the one insurance coverage that will make a world of difference in their family’s lives for many years to come – LIFE INSURANCE. I’m sorry to be the one to break the news, but 100% of us are going to pass away at some point. It’s simply a matter of when. For some of us it will be an accident, and for some of us, it will be a short or long illness, and others old age. The thing is – we don’t know. And you typically can’t buy life insurance once you DO KNOW. So, buy it when you’re young, and it’s very affordable. Buy it right now while you are reading this and still healthy. Most life insurance is underwritten. That means the company is going to ask you a whole lot of questions: Do you smoke? Are you too short for your weight? Do you take medications? Do you have any illnesses? Do you bungee jump? See where I’m going with this? If you are ill or have issues, they may not offer coverage. So, it’s best to get coverage BEFORE these things happen. And it’s more affordable. Some companies will still offer coverage even if you are a walking zombie – but it’ll be very expensive! It’s not for you because you won’t be around anymore. It’s for your family, your siblings, your parents, your pets or your pet charity. If you are the bread-winner, think of what your family would do without your income. Could they pay the mortgage, childcare, car payment, schooling, etc.? If you are the homemaker taking care of the children, how will your working spouse continue to work and take care of the children? Life insurance takes care of those things. It can pay off the mortgage, pay off the end-of-life medical bills, be used to hire a nanny, put the kids through college, pay for their weddings, used as a retirement funder for the surviving spouse and so much more. Leave a legacy behind instead of leaving despair for your loved ones. Term Life Insurance: As the name implies, you purchase it for a “term” of time. Let’s say you are starting a family and you want to cover the family until the kids graduate from college. You may want to purchase term life insurance for 30 years. Or you want to be able to replace your income until your spouse retires in 20 years. Simply decide how much coverage would be appropriate (we can help you figure that out) and how long you want it to cover you. Term is the lowest cost life insurance. Coverage of $500,000 and higher are very affordable. For example, a 30-year old non-smoking male can purchase $1,000,000 in coverage for 30 years for as low as $58/month. 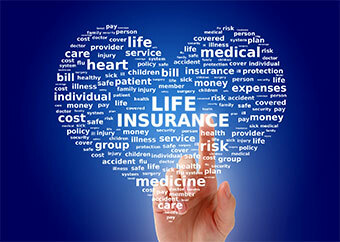 Whole Life Insurance: This type of insurance is permanent, meaning it doesn’t expire. It earns interest and can be borrowed against. However, this type of insurance is often at least 10 times more expensive than term insurance. So, we are believers in term insurance. Take the savings in premium and invest in your job’s 401K or your IRA. 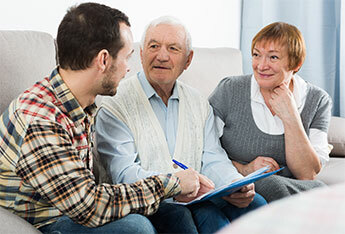 Final Expense Insurance (or Burial): This is typically purchased later in life and can usually be sold to folks as old as 80. It is used to pay off any end-of-life medical bills, for cremation or burial and to leave a little behind for your spouse or kids. Personally, I was so thankful my Dad had a $25,000 policy because it really came in handy for my Mom when he passed. She was able to pay the hospital bills that had accumulated in the last few months of his illness, pay for cremation and give her a cushion against future bills she might have. Underwriting can be very lenient, and premiums might be less than you would think. It is usually sold with coverage of $25,000 or less. So now that you have the facts, what’s holding you back? The time to buy life insurance is NOW! For more about Life Insurance coverage, plans complete our online request form. For the fastest response, please call (239) 201-4560.